We have tried to be as thorough as possible with this list. If you don’t see your question here, contact us and we will get back to you as soon as possible. Water, sunscreen and a hat is highly recommended. Wear clothing that you are comfortable getting wet and shoes that can be worn in the water to avoid cutting your feet on oyster shells. Any bags or coolers that you bring should be small, and remember, it will get wet! We accept all major credit cards when you book online. If you prefer to pay cash or credit at the time of launch, you must call us to book. If you pay with cash, please be sure to have exact change as change will not be provided. >How young is too young to paddle? We allow kids 12 and over to paddle in a single kayak. Younger children may ride in the tandem kayak with their parent or guardian. All kids under the age of 18 MUST have a waiver signed by their parent or guardian. >Where do you launch from? We launch from The Beach Club Restaurant and Bar. We will also deliver to your home if you live on the water. Yes, you will most likely get at least a little damp. Weather conditions and paddling styles can contribute to the level of wetness. The Lake Worth Lagoon is a saltwater estuary and Alligators live in freshwater environments, but there are reports of Alligators in saltwater environments – even the ocean. We have never received a report of an Alligator sighting in the Snook Islands or the Bingham Islands. While Crocodiles do live in saltwater environments, they are relatively rare this far north. They are primarily found in the Florida Keys and the extreme SE and SW coastal regions of the state. >What if the weather is bad? We keep a constant eye on the weather and will reschedule or cancel a trip if there are storms in the area or if the winds are too high. No one will ever be forced or talked into going out in questionable conditions. >What can I expect on the trip? To have a great time! Seriously though, once you arrive at the launch site we will go through our pre-launch procedures which includes going over the waiver, payment and kayak instruction. After that, you’re off to explore the Lake Worth Lagoon! >What kind of Kayaks do you use? Kayak Lake Worth rents open, sit-on-top kayaks. While non-traditional, this style opens up the world of kayaking to those who otherwise may not be able to maneuver in a classic kayak. This design results in a more stable boat not prone to tipping. 10 ft kayaks, maximum weight allowable is 230 lbs. 12 ft kayaks, maximum weight allowable is 300 lbs. Tandem kayak, maximum total weight is 500 lbs. Stand-Up Pedalboards, maximum weight allowable is 210 lbs. >Do I need to know how to swim? While being comfortable on the water starts with knowing how to swim, it is not necessary to rent a kayak. All paddlers are provided with a coast guard regulation Type III PDF. Additionally, most of the water you kayak over is quite shallow. >What kinds of wildlife will I see? 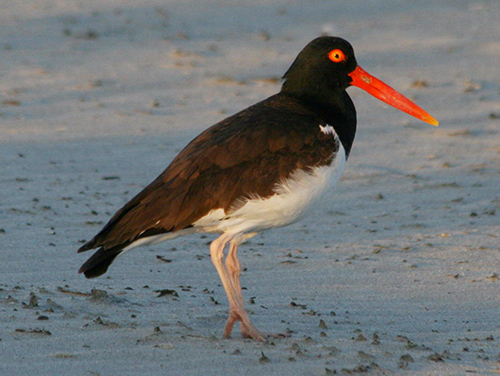 Each trip is different, but you will probably see a variety of birds such as Ospreys, Herons and American Oyster catchers. You may see fish jumping, Manatees or even Dolphin. Manatees love the sea-grasses the lagoon has to offer and their numbers increase drastically in the winter months. >How do I schedule a trip? Book online or, if you prefer you can call us to make a reservation at 561-225-8250. >Can I just walk in without reserving a kayak? No, we are not on site waiting for walk up business. This means that we take advance reservations for your rental or tour. We do our best to accommodate last minute rentals, but availability is not guaranteed. Things happen and everyone is late some of the time, but we really appreciate it if you arrive by your reservation time. If you are running behind, please call to let us know. One late rental can wreak havoc with our schedule and has the potential to spoil the day for others. Tardiness in excess of 30 minutes may result in the cancellation of a reservation. >You should do Groupon/Living Social, etc. OK, we know this isn’t a question but we get this suggestion all the time. There are many reasons we don’t advertise on daily coupon websites, but here is the main one: Because of the nature of our business and the safety of all parties, we like to communicate with our customers before making reservations or taking any money. Online coupons allow the public to buy our services without ever speaking to us – and we just don’t think that’s right! Instead, Kayak Lake Worth offers “No Groupon” discounts and specials through our website, Facebook, e-newsletters, local events and meeting people on the street! This gives us a chance to speak one-on- one and brings us closer to the community and our customers.